Enjoy tours of the 60 km of Revy Riders trails ranging from beginner to advanced, hit up our motocross, enduro or beginner tracks, step up your skills at a novice or advanced clinic from seasoned instructors, learn the basics of your bike with the Infinite Powersports Maintenance Clinic, go for a swim right from the trails in beautiful and picturesque Lake Revelstoke, relax and take in the day around the evening bonfire to wrap it all up with some giveaways from our sponsors! Do it all or just come and ride with a crew of awesome ladies of all ages and abilities! Everyone welcome, clinics and riding activities are for ladies only but feel free to bring your partners and families. - RIDING CLINIC – Limited availability, pre register to secure your spot. - INFINITE POWERSPORTS MAINTENANCE CLINIC – Learn the in’s and outs of your bike, what to look for and basic maintenance. Have any questions or issues with your bike? Ask the pros at Infinite! - REVY RIDERS GIFT! Because who doesn’t love free stuff?! - GLACIER HOUSE BBQ BUFFET - Included in your registration, wind down and take in the view on the Glacier House patio with good food, cool drinks and good friends new and old. - REVY RIDERS MEMBERSHIP – $80.00 Value, come back and ride Monday to Sunday until November! - GUIDED TOURS FROM THE REVY RIDERS – Join a crew for a ride or a guided tour of or 60 KM trail network! Tours for all abilities from 1st timer to advanced riders. Hot enough for ya, take a dip in lake Revelstoke mid ride! - BONFIRE WRAP UP - The good times continue on into the night at Glacier House. Roast some marshmallows and listen to some good tunes fireside while you take in your awesome day! 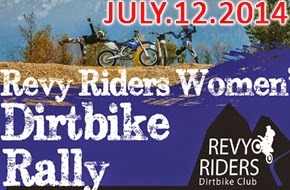 Includes Full Revy Riders Membership & Trail Pass and Riding Clinic, BBQ, Club Gift, Guided Rides, Maintenance Clinic. For those who already have their annual membership. Includes: Riding Clinic, BBQ, Club Gift, Guided Rides, Maintenance Clinic. Includes 2 Day Revy Riders Membership, BBQ, Club Gift, Guided Rides, Maintenance Clinic all included. Includes Full Revy Riders Membership, BBQ, Club Gift, Guided Rides, Maintenance Clinic included. EARLY START: Come Friday and get an early start on the weekend with a 6:00pm fun ride. Restaurants open for Breakfast (not included) from 7:30am – 9:30am daily. Closed for Lunch. Novice & Advanced Clinics Available. Bring your bike over and get the lowdown on tuning up from the pros at Infinite Powersports. BONUS: Just can’t get enough! Stick around for swimming and fun rides with the Revy Riders Club!